Former Premier League goalkeeper Matt Duke has joined National League North side Alfreton Town on a one-year deal. The 38-year-old, who made one appearance for Alfreton during a trial spell in 1999, played in the top flight during a seven-year spell at Hull City. Duke has also played for Sheffield United, Burton Albion and more recently Bradford City, who he helped reach the League Cup final in 2013. 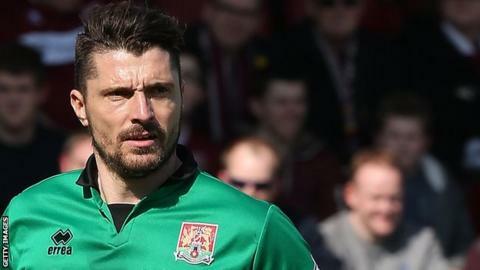 He joined Northampton Town in 2013 and was released at the end of last season.